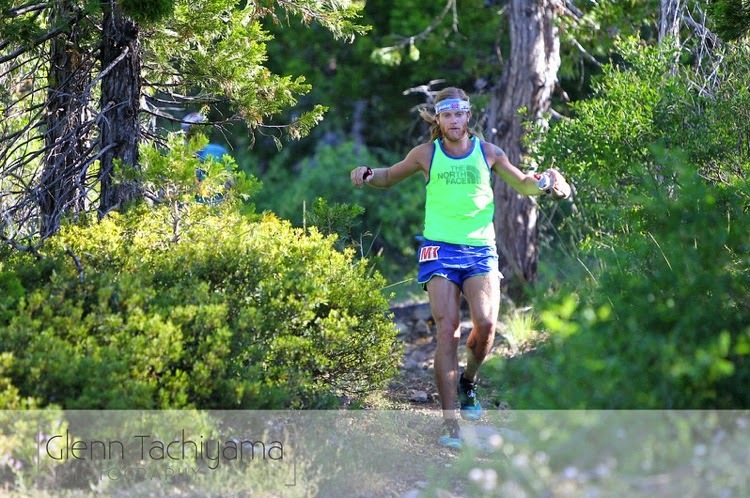 Olson en route to his win at the 2013 Western States 100-Mile Endurance Run. In the past several years, you’d be hard-pressed to follow American—and increasingly international—ultra distance trail and mountain running without hearing the name Timothy Olson. He’s logged numerous top five finishes (including many podiums) at a growing list of very tough races. His tally of outright race wins is equally impressive, perhaps nowhere more so than at the Western States 100-Mile Endurance Run in California, one of the oldest, most legendary, and lately, competitive ultras on the planet. 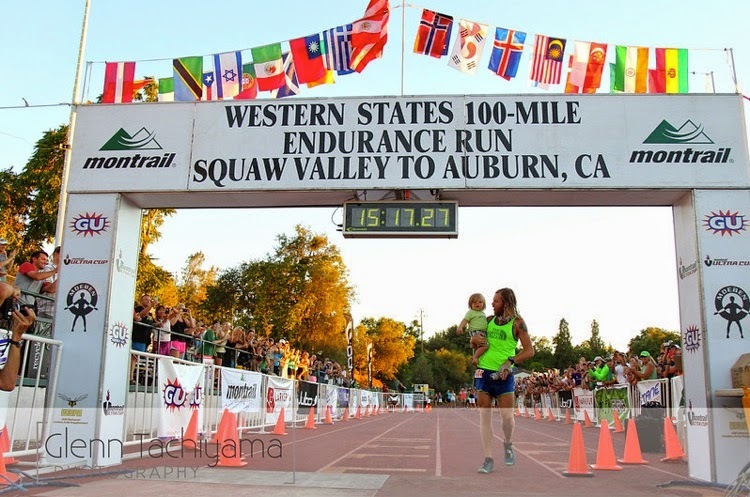 In 2012, Olson captured the win in a course record time of 14:46, the first time anyone had run sub-15 hours at Western States. Just over one week ago, he defended his title with a 15:17 win in blistering triple digit temps. In 2009, Olson began to shift toward a gluten-free diet with a number of similarities to the Paleo/low-carb diet. The continued evolution of his nutrition has been a contributing factor to both his health and his performance as an elite ultra runner. I recently chatted with him to dig deeper into his diet. Peter Bronski: What did your diet look like prior to 2009? Timothy Olson: It was a typical American diet where I ate just whatever was there. Definitely lots of pasta, sandwiches, very heavy on the carbs and grains. I didn’t eat as much organic food, and didn’t care where my food was coming from as much. But then I started making changes. 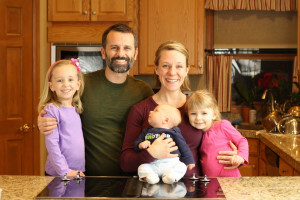 PB: You wrote on your blog how your wife Krista’s juvenile rheumatoid arthritis (JRA) was a big motivation behind some of those changes, which then took shape through an elimination diet. TO: It really started when I began massage school [in 2009]. Through that I was trying to take better care of myself, paying attention to what I was putting into my body. My wife has JRA. We were trying to find ways to get her off her medication through diet. A naturopath gave us a bunch of ideas. We didn’t have the income at the time to do the blood work for me. But we did that for her. The tests showed that she has lots of allergies … dairy, eggs, gluten of course. I started to eliminate those from my diet as well to see what would work best. After a year I finally got off gluten completely, and I’ve been gluten-free since 2010. Before that I was giving up pasta, but not beer. Eventually I gave that all up. PB: How did you and your wife respond to the dietary changes? TO: For the first time in her life, she was off her meds and in remission through diet. It was huge. This was the first time she didn’t have to be on medication; the first time her body was feeling well, joints as mobile as they could be. And then I noticed things right away. That’s what eventually got me to stop drinking beer. I knew how good I felt [on a gluten-free diet], and then would go out with friends and have slice of pizza and a couple of beers. Later that night I felt terrible—lethargic, with a heavy stomach next morning and a lot of GI distress. That was not a very good feeling obviously, waking up all groggy. I didn’t want to go for a run right away, because my stomach was not feeling very good. So I eliminated gluten completely and started running a lot more. Plus, with massage school I was being very focused on my body, more aware. I learned how different things work in the body. Even just how ATP is formed and how your body uses that, how muscles react to massage through what I’m putting into my stomach. The body can really heal itself when you take care of it right. PB: Having been off gluten for a few years now, do you find you’re most sensitive to it than you were in the beginning? PB: Since initially going gluten-free, your diet has continued to evolve. TO: Gluten was one thing, but it still wasn’t perfect. In 100-mile races and shorter, my stomach would still be doing things just not beneficial for running. I was still reliant on the carb fix. I was taking a lot more gels. Then I went grain-free a couple of years ago. That’s when things really started turning around and I was feeling so much better. My recovery from races improved. I’m not 100% Paleo or grain-free—I occasionally have a corn tortilla with tacos or something like that. But it’s not like every week I’m having that. Maybe once or twice a month I put some grains in my system. Crossing the finish line after 100.2 miles and 15 hours 17 minutes, defending his title. TO: Yeah. 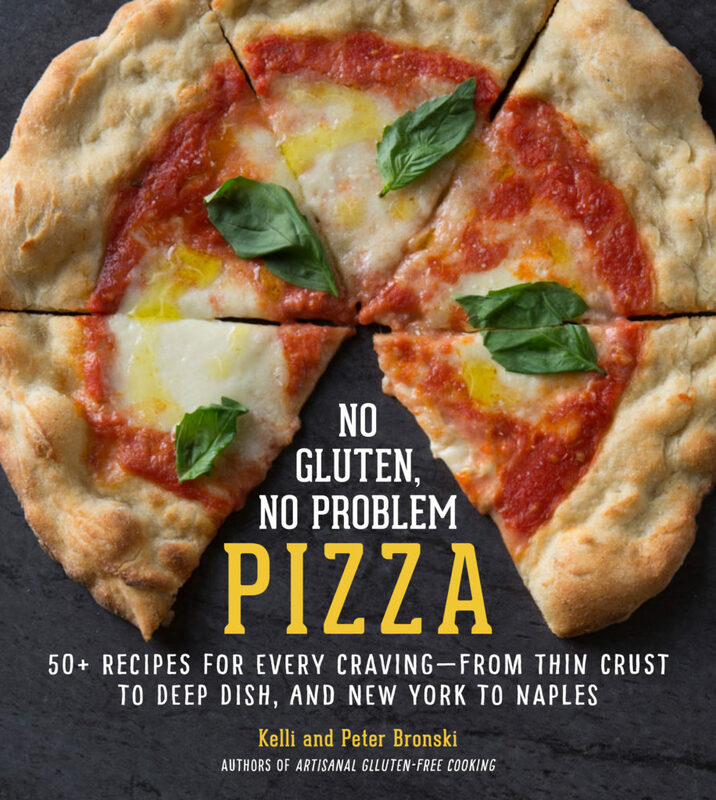 Going gluten-free and grain-free has been one aspect of it. But also, I only eat organic produce now. The meat that I do eat is pastured chicken or grass-fed beef, eggs from local farmers. Even oil… now I’m pretty strict on coconut oil for cooking and olive oil on top of salads. It’s a full lifestyle of taking care of myself, watching what I put in there, taking care of my body, including massage work and acupuncture. PB: Though you’re diet is pretty low on the carbs, they’re still an important part of your diet, especially during racing. TO: For racing I do use carbs; I try to keep them minimal mainly to keep my stomach under control and to promote fat burning as a source of fuel. I also do many workouts where I’m really depleted afterwards. I’ll run up to five hours on one or two gels, which is around 200 calories. During a race I stick to 100–200 calories an hour with gels and at the later stages of a race I might drink some Sierra Mist or Coke. There reaches a point at the end of 100-mile race that I’m tired of gels and liquid calories just go down easier. Also Sierra Mist or Ginger Ale can help settle my stomach. I don’t drink soda any other time, but for races I make the exception. PB: Day to day, what does your diet look like? TO: I like to have a tablespoon or two of hazelnut or almond butter in the morning before heading out for a run. On training runs lasting three to five hours I might use one or two gels. I like to keep the calories low to promote fat burning and if I don’t need it, I like to not have much sugar in my diet. After a long day out on the trails I might have a green smoothie with kale, banana, and some type of berries. If I don’t do a green smoothie I’ll have some scrambled eggs with sautéed kale or spinach and any other vegetables I have lying around the house with coconut oil and maybe some avocado, too. For snacking, I make Kale chips, which I try to always keep on hand. Other options for snacking are carrots or other raw veggies, nuts, and seeds. I really like walnuts, pistachios, sunflower seeds, and pumpkin seeds. I also indulge in hazelnut butter or some sweet potatoes chips after a hard run or race. And yes, I do enjoy a nice glass or two of red wine in the evening. As for dinner, I’ll have some type of meat (normally chicken or venison), some vegetables (zucchini, Brussels sprouts, avocado, artichoke, broccoli, carrots, kale, spinach, cabbage, peppers, onions, mushrooms, etc.) either sautéed or raw, washed down with some tasty water. PB: You’ve said that this diet has helped you recover faster, reduce inflammation, and overall feel healthier, but that you also don’t like labels, and that everyone’s bodies are unique and you need to find the best way of eating for yourself. What advice would you offer folks? TO: I’m a huge advocate for the idea that everyone’s body acts differently. There is more than one right way to eat. You need to experiment for yourself. Do an elimination diet, and then fully introduce things back in and see what you notice. People should become more body aware, noticing what they’re feeling inside and putting in themselves. For me, with training and racing, my goal is to eliminate inflammation as much as possible, especially with the miles I put in. The question then becomes: How do I do that? Images copyright Glenn Tachiyama Photography. Used with permission. Love Tim, he’s an inspiring athlete and seems like a very nice guy, but it pains me to read his dietary ideas. By his own admission, he was a pizza and beer guy and then did an “elimination diet” and decided that he needed to be gluten and carb free (or low carb). Well, I would feel like crap eating pizza and beer all the time as well, and would have a hard time running in the morning. The top athletes in the running world are the Kenyans and the Ethiopians….and they eat carb heavy diets with gluten. I can’t help but wonder how Tim would perform on either diet…thanks for the interview. I wonder that as well. I also wonder how the Kenyans and Ethiopians would perform on gluten free. There is still a lot for science to teach us. Yes, Olson is both an inspiring athlete and a very nice guy. Both true statements! He did not characterize his diet as being “a pizza and beer guy.” He noted that his diet prior to 2009 resembled something closer to a standard American diet, which included pasta, sandwiches, and other grain-based carbs. Later he described having a slice of pizza and a few beers with friends, which hardly qualifies that as the core of his pre-2009 diet. It’s important to make a distinction between the gluten-free and the low-carb aspects of his diet. You can certainly eat a high-carb GF diet if you want. In Olson’s case, the decision to eat a low-carb diet is a strategic one, and a smart one given his status as an ultra runner. Lower-carb diets combined with higher training loads promotes fat-burning metabolic pathways, a much more efficient source of energy than carb-based glycogen and a great benefit to ultra runners and other endurance athletes. Yes, Kenya and Ethiopia both produce many impressive distance runners. (Technically, one particular tribe in Kenya produces most of that country’s elite runners.) But you’re only half right about their diet. True, their diets are particularly carb heavy, but they’re not gluten-based. Traditional diets in Kenya and Ethiopia derive the overwhelming majority of their carb-based calories from naturally gluten-free sources, including corn, millet, sorghum, and teff.